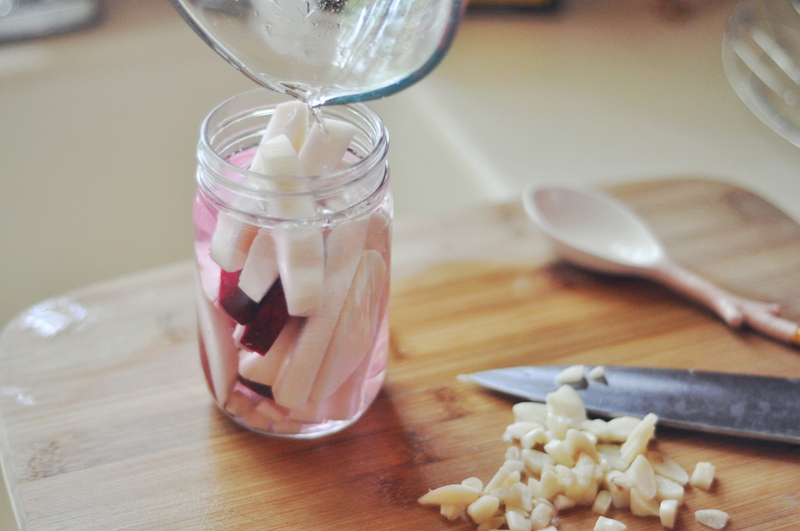 I'm a huge fan of pickles in general, but Lebanese style pickled turnips are by far my favorite. 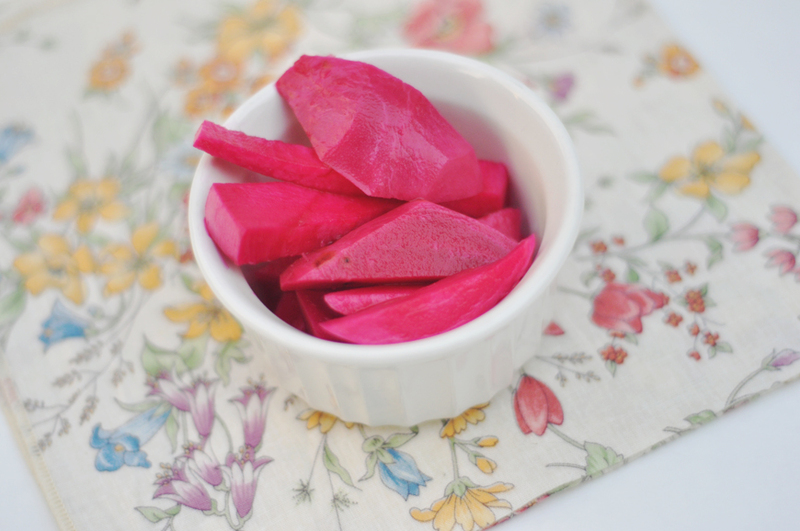 They are a delicious staple on any Middle Eastern menu and are perfect for dinner parties because of their gorgeous beet infused hot pink color. 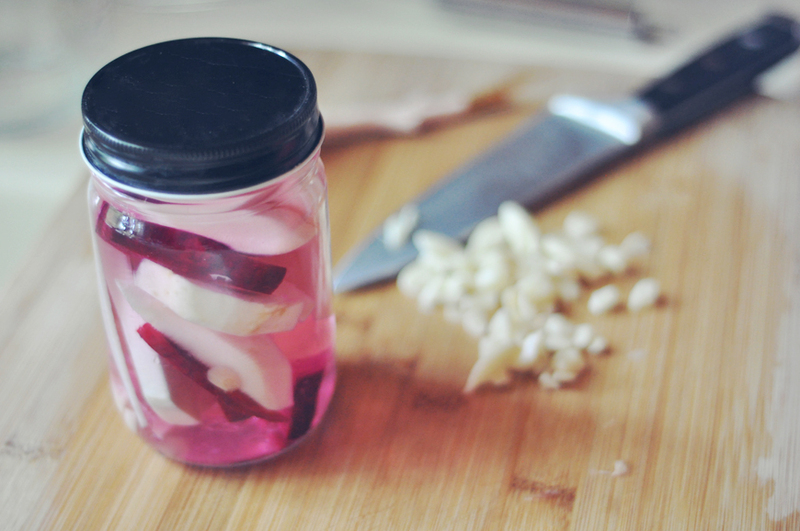 Serve them as a condiment, in sandwiches (they are the best with chicken) or along side a cheese tray. They are quick and simple to make and taste delicious. This recipe came from Um Nazih, a woman who works for our family. 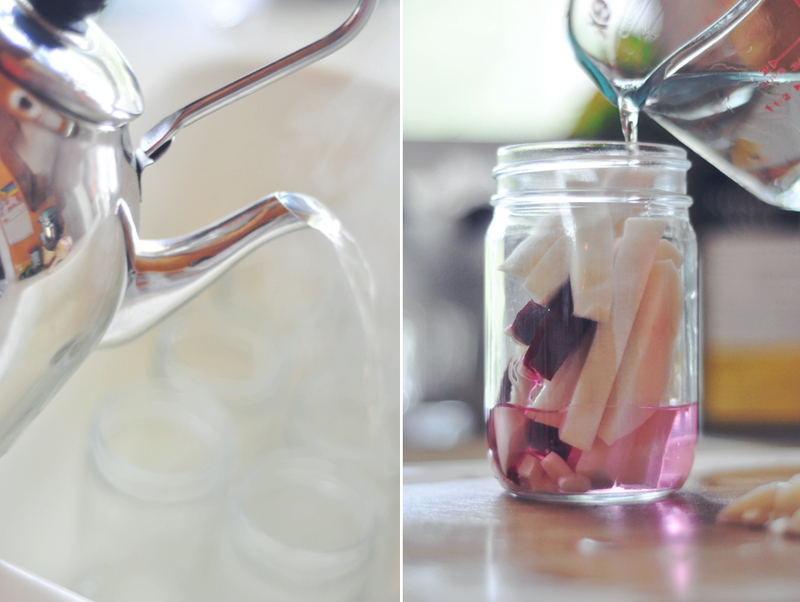 • Clean jars (pour boiling water over them after thoroughly cleaning with hot water and soap). 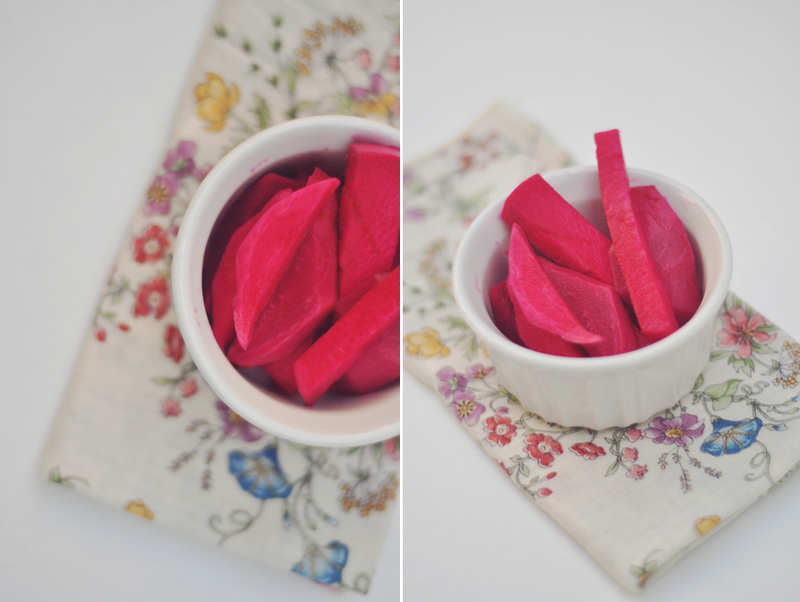 • Peel and slice turnips and beets. Be weary of what you wear (no white) as the beets stain. • In a large bowl add water, vinegar and salt. Stir well. 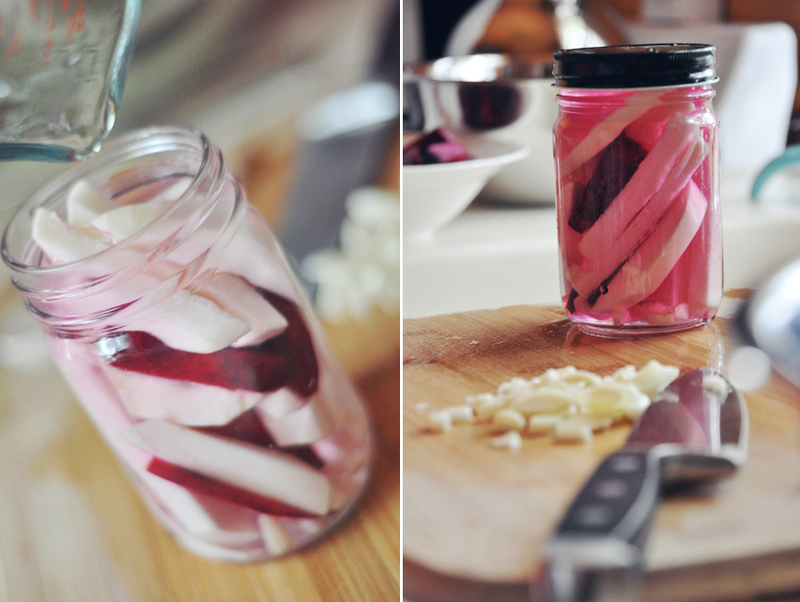 • In the jars, add the chopped garlic and then alternate layers of beets and turnips (you want more turnips than beets). You may choose to use 1 very large container, or several smaller ones. 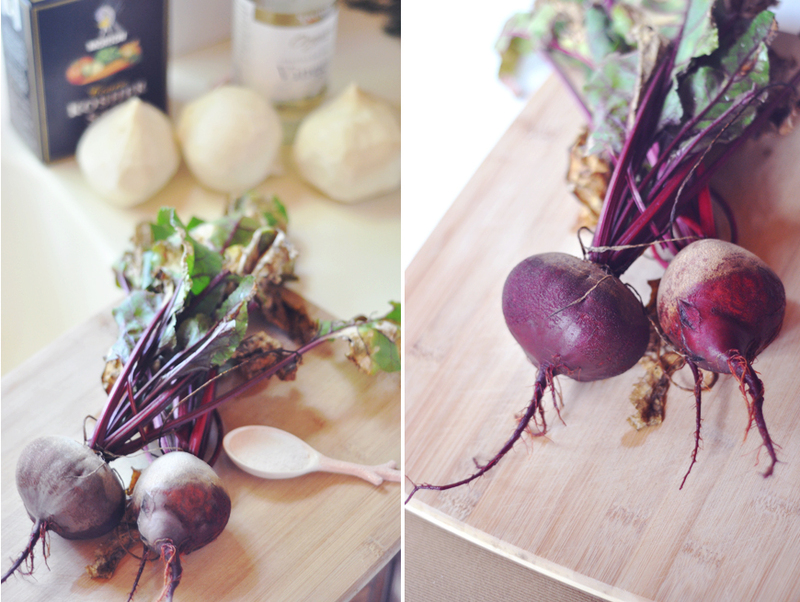 • Fill jar to the brim with the vinegar water solution, place lid and give a gentle shake to get the beet juice flowing. • Place in refrigerator for ten days. You will notice they're color will turn a vibrant pink.